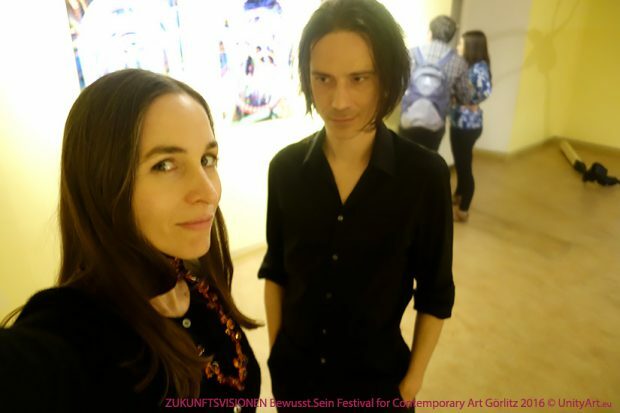 Festival for Contemporary Art ZUKUNFTSVISIONEN Bewusst.Sein („FUTURE VISIONS Conscious.Ness“) for our series DOORS OF PERCEPTION. The festival took place from May 14 – 21st in Goerlitz, Germany. Special thanks to Prof. Dr. Maik Hosang from CONSCIOUSNESS NETWORK for sponsoring the artist residency at www.PHILOSOFIE.org and the generous cash prize. We are looking forward to getting to know his work! For those interested and living in Berlin: He will be giving an „#Atman Talk“ on June 2nd 2016 at 8 pm at the Malzfabrik.